You fly in style – why shouldn’t your pampered pet? The ‘Aero-Pet’ Carrier by Argo is an exclusive design and the only one like it on the market, successfully combining travel shelter with style! Designed to meet strict airline pet carrier regulations, while remembering the comfort and safety needs of the pet traveler. Your favorite furry friend doesn’t below in the cargo compartment! The Aero-Pet Carrier is designed to slide conveniently beneath an airline passenger seat. The Aero-Pet features removable waterproof padding for bottom and sides, is ultra lightweight and offers two innovative carry options: quick change straps to change from narrow carry mode, to wider travel mode which offers your pet more room to relax during the flight. Aero-Pet is the most progressive, airline approved pet carrier on the market. No other company in the pet industry uses the double dual layer mesh method – we do. The Aero-Pet carrier features an outside layer that is standard nylon mesh and an inner layer of heavy duty mesh screening. Why does this matter? 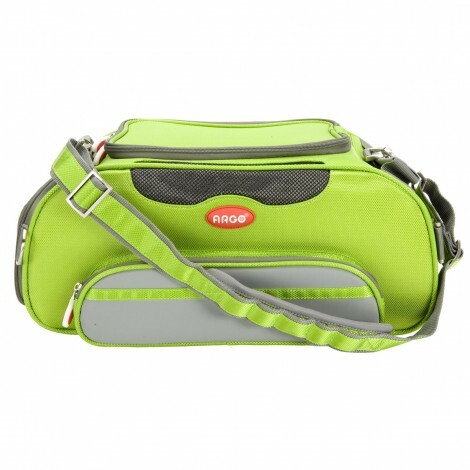 All ARGO pet carriers have the double dual layer mesh windows on all sides. 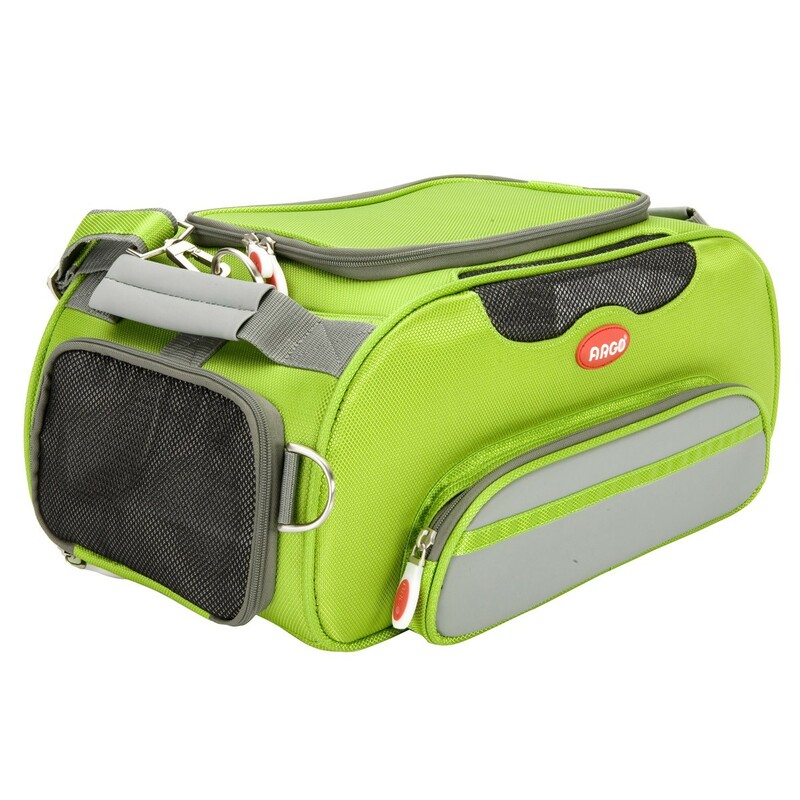 It offers exceptional ventilation for your pet, offering ultimate comfort during travel. Equally important, your pet’s nails or teeth will not be able to damage or claw through the fine weaved reinforced mesh. 90% of our competitors do not offer these exceptional features. Aero-Pet will last longer, look better and offers upscale luxury for your dog or cat. Offered in six colors to match your pet’s unique character (sherbet yellow, petal pink, tango orange, kiwi green, berry blue, black) Aero-Pet comes complete with a quality lining, padded carrying straps and handles, and an accessible zippered top door panel.